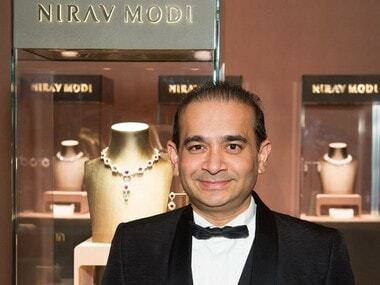 Editor's Note: This article, originally published in July 2018, is being republished in the view of PNB scam accused Nirav Modi being spotted in London by The Telegraph. The Ministry of External Affairs said that the extradition process of Modi is not that simple. "We had made a request for extradition to the UK government based on the investigations of the CBI and ED in August last year. Despite what we have seen on television today, the status of the request is the same. It is with the British government. Try to understand how the whole process works. Just because he has been spotted, doesn't mean he will be extradited to India," spokesperson Raveesh Kumar said. 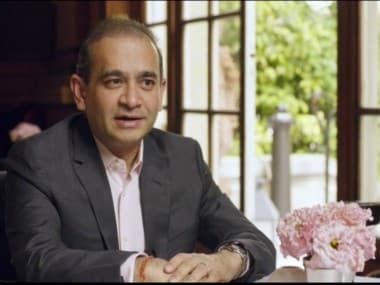 In what is being interpreted as "relief" to Central agencies like the Enforcement Directorate (ED) and the Central Bureau of Investigation (CBI), the Interpol finally issued the Red Corner Notice against fugitive diamantaire Nirav Modi. The allegations against Modi are that the companies linked to the jeweller and his relatives received credit worth close to $1.8 billion between 2011 and 2017 using false guarantees supplied by two bank officials. The scam involving Punjab National Bank is probably country's largest ever bank fraud. The notice was issued on 29 June but has been made public on Monday by the International police cooperation agency, the sources said, adding that it will make unhindered movement of Modi across borders difficult and might lead to his arrest. The CBI had tried to track the movements of Modi through a diffusion notice issued through the Interpol on 15 February, but it had limited success as only the United Kingdom responded to the CBI request, they said. Modi also managed to travel across several countries even after information about his passport being revoked by the Indian government was flashed in the Interpol central database on February 24, the CBI had earlier said. "After the passport was revoked/cancelled by the external affairs ministry, we had updated this information in the diffusion notice. The information that Modi's passport has been revoked was provided in the Interpol central database, available to all the member countries, on 24 February," CBI spokesperson Abhishek Dayal had said. As soon as the news broke, several reports claimed that the agencies can "any moment" have Modi in their net. Well, that is not completely true as there is only so much that an Interpol-issued RCN can do and ensuring arrest of the fugitive isn't one of them. One will find several versions of this answer, and as experts have claimed it is hard to prove definitively because credible figures about Interpol’s accuracy aren’t available. Gherson, a specialist in UK immigration, nationality, extradition and human rights law firm based in London, said that Interpol isn't a "global police force" which is involved in the arrest of fugitives. It, however, is a largest police organisation with 190 participating member states. Unlike popular knowledge, Interpol can't arrest people, Gherson claimed. "It facilitates cooperation between police forces across the globe. Interpol operates a colour-coded notice system between its members, of which RCNs are the most well known." What is Red Corner Notice? It is not an arrest warrant, even though, it is often described in the media as "the closest" thing to one. Interpol cannot insist or compel any member country to arrest an individual who is the subject of an RCN, nor can it require any member country to take any action in response to another member country’s request, South China Morning Post reported. Can Modi be arrested now that the Interpol has issued an RCN against him? If issued, an RCN will help restrict travel by Modi and Mehul Choksi using their Indian passports. If either of them is detected making such an attempt, Indian agencies will be alerted through Interpol. While it can restrict Modi within the United Kingdom, the RCN alone will not bring him back. "How an RCN is treated and acted upon by an individual state can vary dramatically. Some member states will treat a Red Notice alone as sufficient justification to arrest and detain an individual whereas others may require more information before proceeding." When an RCN is issued, it informs all 190 Interpol member countries that the person is wanted based on an arrest warrant issued by a country or an international tribunal. Like mentioned above, many of Interpol's member countries consider an RCN a valid request for provisional arrest, especially if they are linked to the requesting country via a bilateral extradition treaty. Does an RCN mean fugitive can be extradited? No. A complex area of domestic and international law, extradition often involves several diplomatic and political considerations. Therefore, just because there is an RCN issued against a fugitive doesn't mean there will be an extradition. A RCN is merely a notification that a person is wanted by one of Interpol's member states and a request that fellow member states arrest them pending an extradition request. Extradition requires formal extradition requests between states and legal process needs to be followed. Difference between provisional arrests and extradition? Treaty partners of the requesting country (in this case, India) have an obligation to consider requests for provisional arrests seriously. If there is no treaty, then India can make a request for provisional arrest, but it is for the other country decide in accordance with its laws. The Indian Express reports, "Each extradition treaty specifies the documents required and means for a provisional arrest request. The concerned law enforcement agency in India prepares the request and sends it to the Ministry of External Affairs, which forwards it to the concerned authority of the other country." Request for extradition can only be initiated once a chargesheet has been filed. 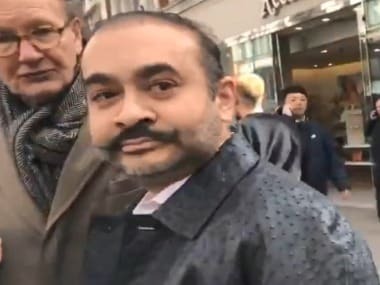 Even though the Interpol has finally responded to CBI's request and issued an RCN against fugitive Modi, don't expect the fraudster be back in India by next week. 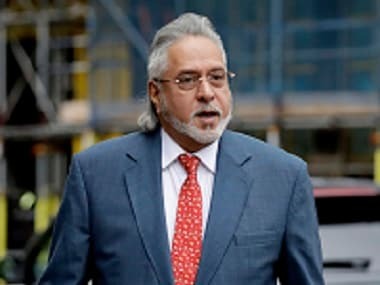 Remember Vijay Mallya?